Almost everyone in the developed world owns or has access to a computer that is connected to the internet. As such, it is incredibly important that your business is accessible by these people. But what are the main reasons that your company should have an online presence? Read below to find out. Chances are the internet will be the first place many potential customers become aware of your business. If they do not like what they see then it doesn’t matter how good a product or service is. Within reason, of course. It is true that many people will garner their opinion of your company on your website and will decide whether or not they want to use you. With a clear website that explains what your company is and does everything a customer needs you can become a leader in your field. Potential customers will be far more likely to choose your company over a competitor if they are aware of you. Your company probably has a brand that you operate but if this is not clear to visitors and those who have never used you before then they will be wary. By being online you have the chance to put your brand to your product or service and use your website as a hub for new customers to find you. Your brand also links in to your marketing: if you use your site to advertise your products without being pushy you will start to be trusted. Being online is not just important for customers to see, but also for internal needs. 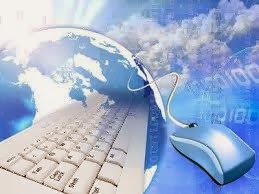 Nowadays, all your payroll and accounting needs can be done online using online accountancy software. They are all slightly different but essentially help you or your accounting team manage staff pay and company accounts. There are various levels for different company sizes but are well worth looking at to streamline monthly payments. Social media that links in with your brand identity is a great way to get your business or service discussed. You can also direct the flow of the interaction with a well-placed comment or competition. Not only does this increase your identity and presence but by being on Twitter and Facebook you can also learn things about your customers and tweak your services according to your audience’s demographic. Interactivity is infectious and you will find that people start to talk about it even more. Being online also helps you to reach out further than your local area, while also trying to get the monopoly of those living nearby. People will search online so with good SEO and a well planned website you could get near the top of the search rankings. That is when people will click on you and find you. Having local customers is important, but branching out will help your company expand.